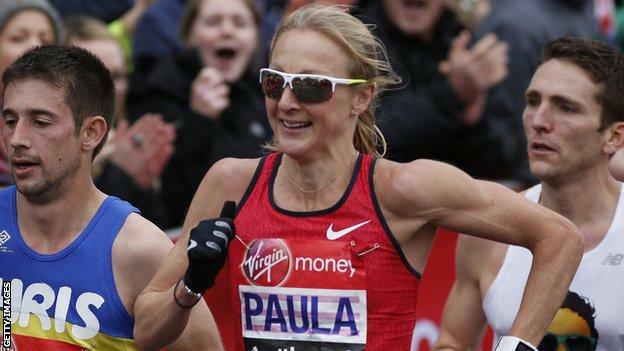 Former marathon world champion Paula Radcliffe says she supports new rules on the “minefield” issue of naturally high testosterone levels in women. Some athletes will have to take medication to race in track events from 400m up to the mile from November. “There isn’t a fair answer – there’s no solution that is fair to everybody,” the 44-year-old Briton said. 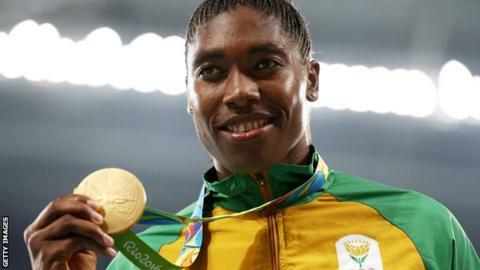 South Africa’s Olympic 800m champion Caster Semenya is one of the athletes who could be affected. Athletics South Africa said on Thursday that it would “challenge” the International Association of Athletics Federations (IAAF) on the new rules. The country’s governing body said in a statement that it would go to the Court of Arbitration for Sport (Cas) if the IAAF did not change its stance. Research commissioned by the IAAF in July 2017, after its previous rules on ‘hyperandrogenism’ were suspended by Cas for lack of evidence, found that female athletes with high testosterone levels had a “competitive advantage”. Radcliffe told the Press Association: “To make it about Caster Semenya is completely unfair to her. Why should she be made the poster person for this? However, 100m, 200m and 100m hurdles are exempt, as are races longer than one mile and field events. The African National Congress – the ruling party of South Africa – previously called the measures “blatantly racist”, but Radcliffe disputed that argument. “I get really annoyed when I see these arguments come back that it’s racist or it’s sexist. It’s none of those,” she added.